We’ve been saying for a while that smaller women’s watches are coming back in a big way, and many of the unveilings at Baselworld 2018 further cemented our observations. Case and point, one of Tudor’s last additions to the Black Bay line—the Black Bay 32—scales down the minimalist model beyond the unisex midsize 36 to a conventional women’s watch case size. Already a handsome and desirable model, the new Black Bay 32 is being offered both with a black dial or the new blue dial that launched in all three sizes for 2018, on fabric NATO strap, leather strap, or bracelet, starting from a modest $2,620. 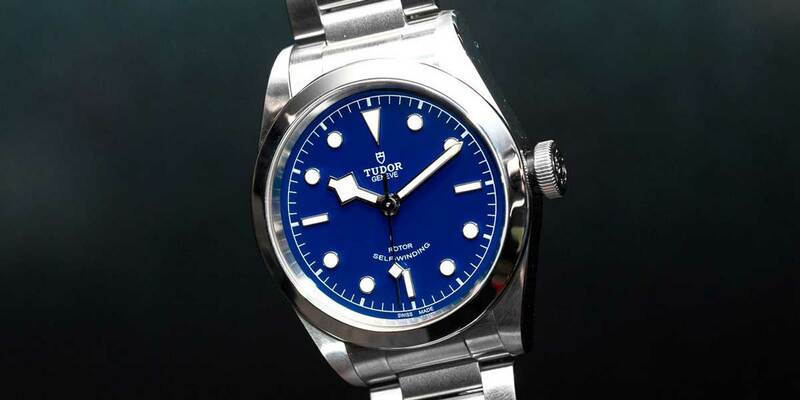 As with many things from Tudor these days, there are details to this new release that we love, and others that we question a little, but all told we believe this release is one of their smarter moves of the year. Unlike the new 1926 model range, a vintage-inspired and rather soulless entry-level release from Tudor using supplied calibers, directly targeting a new generation of non “watch geek” buyers (specifically in the Asian market, per Tudor), the new compact Tudor Black Bay collection fills a logical gap in the 17-variant deep model range, motivating us to take a closer look at the new release. 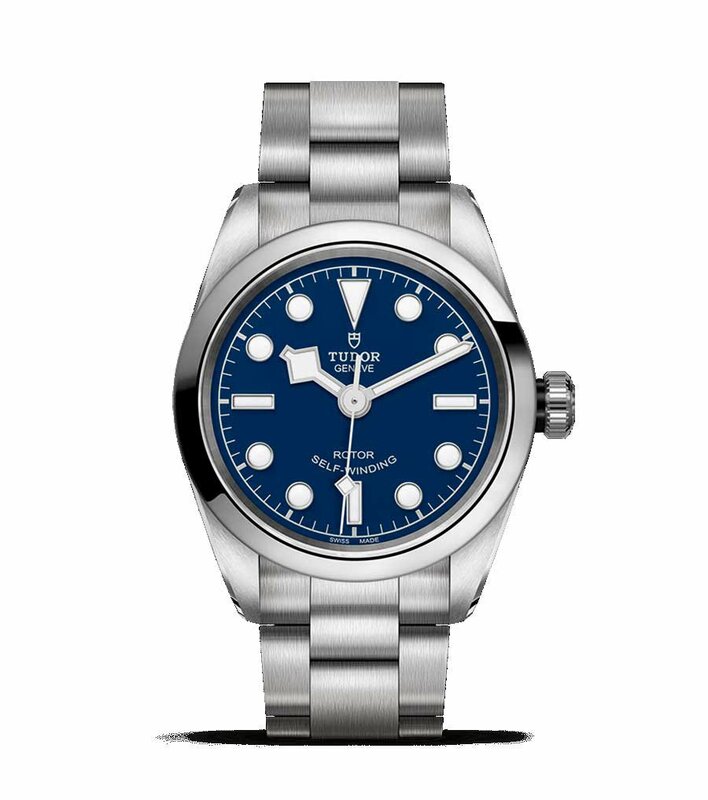 To use the Tudor marketing speak, the brand has “combined the technical sophistication of a tool-watch in a smaller, refined model for women.” Grammatical flaws aside, the statement is an accurate one. The Black Bay 32 still features the same screw-down crown, 150m water resistance, sapphire crystal, and self-winding caliber as its larger siblings, all packed into its compact case. 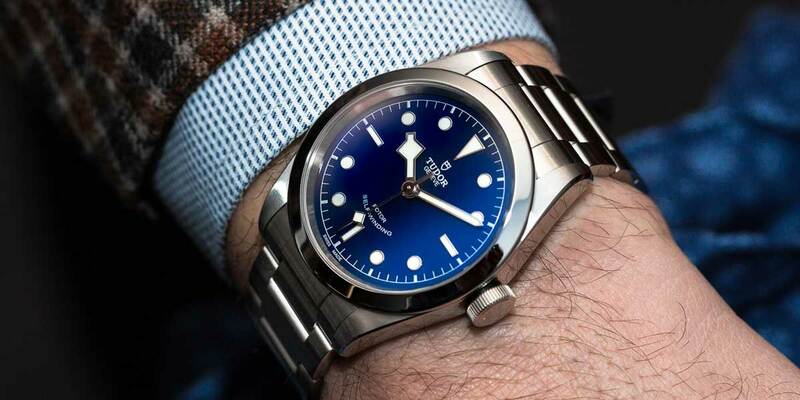 Speaking of calibers, Tudor is sticking to its guns with the use of the ETA-supplied 2824 movements instead of moving the line over to in-house manufacture calibers. Clearly, a move intended to keep manufacturing costs to a minimum, we still think it would be in the brand’s best interest to make the transition. We’re rapidly approaching an era where the consumer is less willing to tolerate an increased premium for in-house manufacture calibers—especially with Panerai’s edgy move at SIHH converting the entire Due line to in-house without altering price structure—so if Tudor ever plans to make the switch they’d best make a move sooner rather than later. Don’t get me wrong, the ETA 2824 is not a bad caliber. Hell, it has powered offerings from the vast majority of entry and mid-tier watch brands of all shapes and sizes of the years. Where the issue lies is in Tudor’s pontificating about the prowess of their in-house calibers in one breath, and pushing out more product off ETA’s supply in the next. It’s this kind of thing that makes a brand appear to lack direction, much in the same way we’re seeing with the new Breitling models, where you can get a Navitimer 8 either with an in-house caliber or a supplied one—both of which will be sold side-by-side in the display case. Back to the watch at hand, the Black Bay 32 does look particularly sharp in this compact size, especially on its bracelet ($2,960). In 32mm guise the case profile runs slightly closer to the bracelet width than seen on the 36 or 41mm examples, and the closer concentration of indices and hands against its semi-gloss lacquer dial seems more balanced than its larger siblings as well. Being so used to the traditional Black Bay models fitted with a dive bezel, the Black Bay 41 always felt like it was missing a bit of detail for it to feel complete, and looking at the new 32 it’s almost as if Tudor should have increased the size of its indices and hands slightly to compensate for the design change in the 41mm model when it first launched. It’s also worth noting that the 32mm has been fitted with the slightly longer and fatter crown that is also seen on the 36mm example of the series, rather than the flatter example of the 41. Looking at the two watches side by side (the 32 and 41) it’s tough to say that one is the better choice than the other, but either way it’s interesting to see this change between the two case sizes. At the end of the day, here’s why the Black Bay 32 makes sense. Not only is there a rapidly growing demand for women’s watches in general, but if you ask any woman out there who wears serious watches on the regular (yes, they’re rare, but they’re definitely out there), and you’ll hear the same thing: “Why the hell do watch brands assume that all women want a small watch covered in diamonds? !” While I’m sure that there are some sales stats to back up the diamond-set trend that still runs rampant in watchmaking, it’s nice to see an another alternative hit the market.